Recently, a friend shared a story with me about his two boys that were going to build a deck one afternoon. His son requested the help of his brother on the construction of the deck. The son that was building the deck at his home had studied the instructions from the Internet and relayed this information to the his brother before he arrived. This task concerned the brother that was called to help because he had his own way of construction and did not want listen to the Internet instruction. In his love for his brother he agreed to help but along the way he called his father for some council. 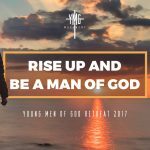 The father gave him some good advice in spiritual wisdom that helped his two sons not only accomplish the task in a timely manner but it kept them united in spirit without the spiritual resistance between them hindering the mission. The fathers advice was simply this,”Just help your brother build his deck.” That advice seems short but it is very wise because too many times we encounter spiritual resistance between one another because we get to busy trying to tell someone else how to achieve their goals. There are principles that have to be followed to accomplish any objective but each person might not travel the same road to reach their destination.